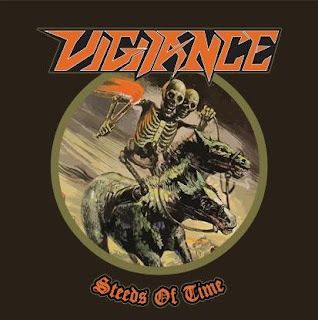 Sounding like Iron Maiden mishmashed with speed metal, Vigilance are a couple decades too late when compared with their influences. The classic feel is alive and well, even in form of production, and goes all the way back to metal's roots when most people in this day and age the genre as death metal. Vigilance give us an exhilarating five tracks of heavy metal--a strong candidate for metal EP of 2011--and surely come out on top as Slovenia's metal release of the year. I'm always amazed at the great metal that emerges from small countries. In spite of being decades late, I'm not complaining because Steeds of Time sounds fantastic with its dual guitar-driven crunch and shuffle pattern drumming. The self-titled track is a down and dirty instrumental that fondly reminisces upon the early days of heavy metal and the NWoBHM movement. The rest of the EP isn't much different, but with the exception of vocalist/guitarist Jakob Rejec belting out the high notes in consummate fashion. Rapid alternate picking and galloping riffs take influence from Iron Maiden and Judas Priest--the bands everyone should be looking up to, no questions asked. That being said, you generally know what you're going to get with Steeds of Time because of how solid it is. I don't have many criticisms of the EP: the musicianship is top-notch, and the compositions are excellent and evocative of my favorite bands. Nonetheless, I find myself wishing Jakob's vocals were a tad stronger and more prevalent in the majority of the track listing. As it stands, he is a great heavy metal vocalist, but his voice will, on occasion, fall flat and slightly out of tune. Don't misread me, however, because there's nothing atrocious here, and his pitch-bending vocals are certainly nothing to scoff at. With astounding cover art and a ripping sound, Vigilance are poised to make a splash in the traditional heavy metal scene. 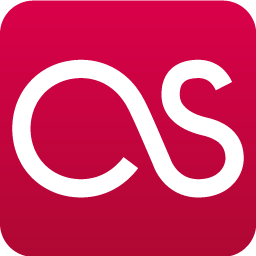 Taking a page from the greats wasn't a bad idea at all, and even then the band manage to insert their imagination into the mix in an effort to avoid sounding like a clone. I can hear the horses in the distance now: the galloping guitar riffs stampede across the battlefield and recall the golden age. This is heavy metal.